Lithium Carbonate is an antipsychotic medication prescribed to control the extreme mood swings associated with manic depressive illness. Doctors may also prescribe it for conditions like premenstrual tension and eating disorders such as bulimia. The exact working methodology of the drug remains unknown but it alters the balance of certain chemicals and prevents the manic episode from occuring. Lithium Carbonate may be used with or without food. How & where do I store Lithium Carbonate? Lithium Carbonate is known to cause drowsiness or dizziness. Your vision may be blurred and your judgement affected if you consume alcohol with this medication. So, avoid using alcohol while using Lithium Carbonate. Certain prescription drugs or health supplements or even food items are known to interact with the effects of medications. Lithium Carbonate is known to have possible interactions with the following medications. Lithium Carbonate can trigger suicidal thoughts or actions especially in young adults, children and teenagers. The chances of this occuring are higher in people suffering from bipolar disorder. So patients taking Lithium Carbonate must be monitored closely. Even the slight change in their mood or behavior like depressed mood; anxious, restless, or irritable behavior; panic attacks must reported to the doctor. Lithium Carbonate can interfere with the results of certain laboratory tests like blood lithium levels and kidney function tests. If one of these tests are prescribed for you, then we recommend that you speak to your lab technician that you are using Lithium Carbonate before you undertake the test. 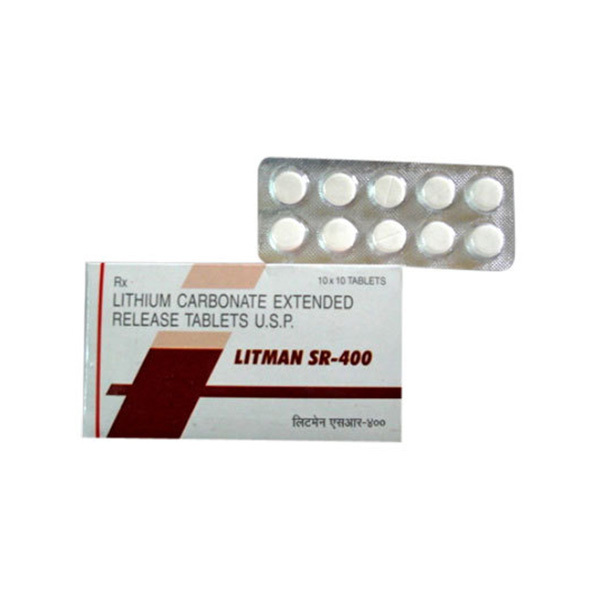 Elderly people are more likely to experience side effects while using Lithium Carbonate. If the side effects are bothersome, then seek medical help. It is not clear whether Lithium Carbonate is safe for use by children below 12 years of age. So, if the patient is under this age, then speak to your doctor regarding the possible risks. If you are involved in any activity that causes extra sweating or loss of vital salts, then ensure that you get them replenished in your diet. Do not alter your diet or salt intake without consulting your doctor. Lithium Carbonate is categorized under FDA category D.